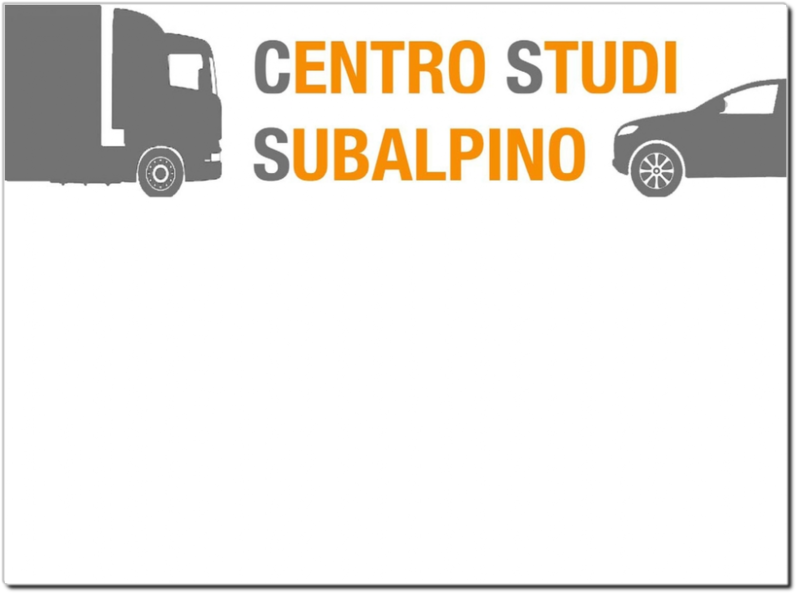 Centro Studi Subalpino, owned and managed by Emilio di Camillo, offers an updated panorama of the latest data on World Cars, Commercial Vehicles and Trucks Markets. 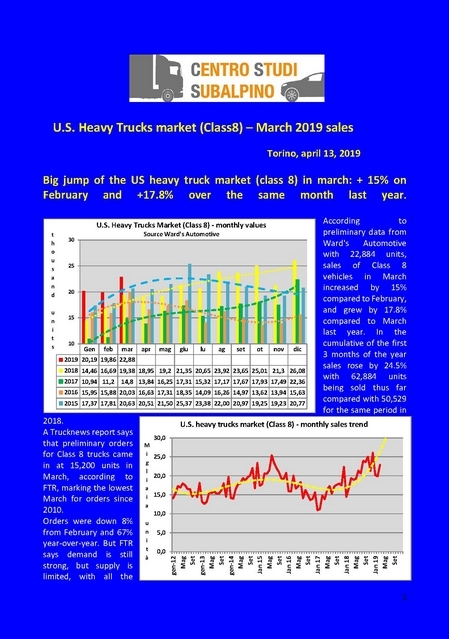 - Big jump of the US heavy truck market (class 8) in march: + 15% on February and +17.8% over the same month last year. 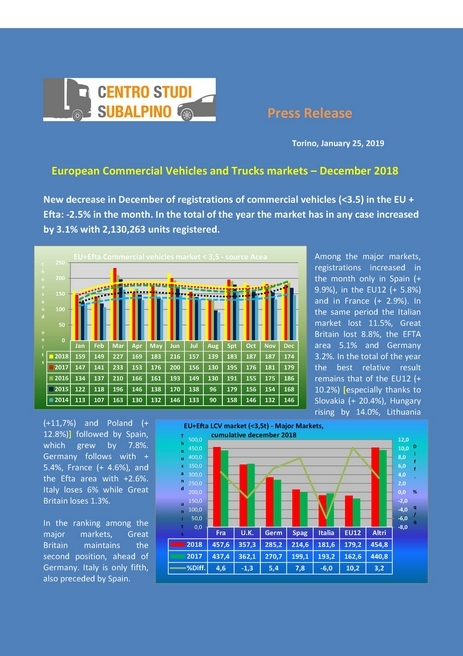 - New decrease in December of registrations of commercial vehicles (<3.5) in the EU + Efta: -2.5%. The demand for trucks (> 3.5) drops significantly during the month: in December -11.4%. year 2018, registrations decreased by 0.04% to 15,624,486 units. - Very high increase of the US heavy truck market (class 8) in December: + 22.4% on November, and + 16.7% on December last year. The total of 2018, at 250,627 units, exceeded the total of 2017 by 30.4%. - Slight progress in December of the Italian car market: + 2% in the month with 124.068 units registered. In total, 1,910,025 units were registered in the year, 3.1% (around 60,000 cars) less than in 2017. - Commercial vehicle registrations (<3.5) rise again in October in the EU + Efta: + 6.1%. Also a strong recovery in the demand for trucks (> 3.5): + 9.7%. - New great leap forward in August of heavy trucks sales (class 8) in the US, up 15.8% compared to July. compared to January, but +49% compared to February last year. - New significant increase in sales of heavy trucks (class 8), in the U.S., up 26.8% compared to January last year. - The trend of registrations of commercial vehicles (<3.5) in Europe fell in December: -3.9%. The drop in demand for trucks (> 3.5) increased, with a contraction in December of 6.8%. - The car market in the EU + Efta decelerated in December: -4.8% in the month (with 1.136.552 units registered), especially for one working day less. Total registrations increased by 3.3% over the previous year to 15,631,687 units, the fourth consecutive year of growth and highest value since 2007.
positive: in November the increase was limited to a + 3.2%. 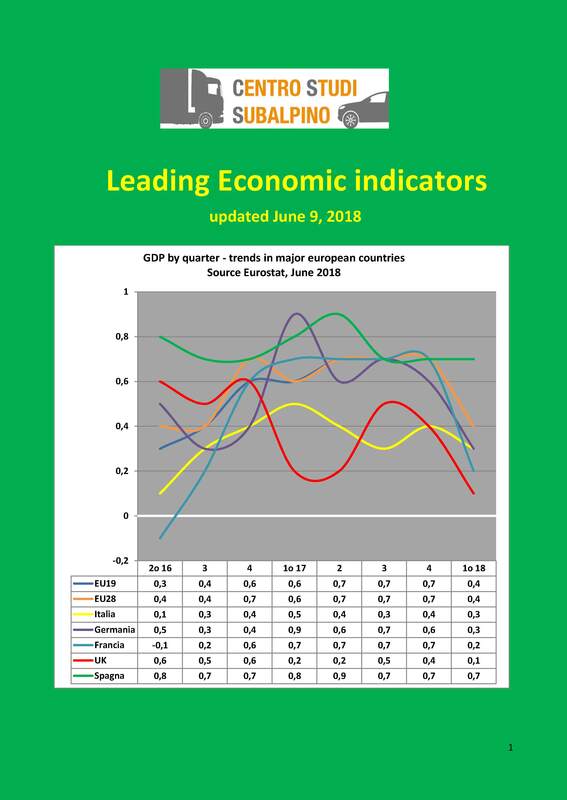 The positive increase in demand for trucks was canceled (> 3.5), with a contraction in November of 0.1%. - The strong recovery in heavy truck sales (class 8) in the USA continued in November: even if down 2.5% from October, climbed 25.4% compared to November last year. - Slowly slows the trend of car registration in the EU+Efta: in September -2%, with 1,466,336 registered vehicles. 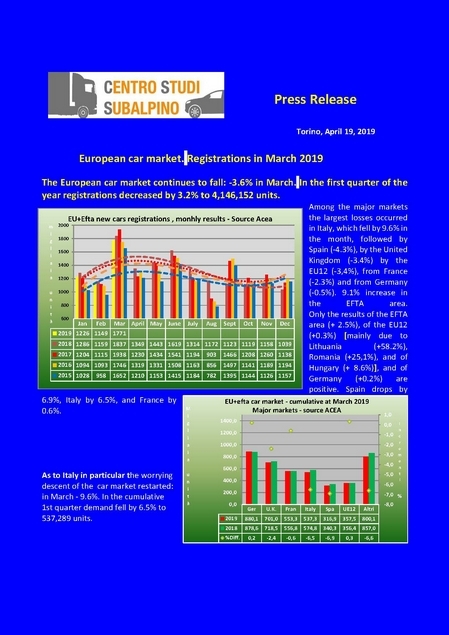 - Remains sizeable car registrations rise on the Italian market: +8.1% with 166,956 units registered in September.